No, I’m not going to segue into a discussion of the entirely inhuman and alien ideas promulgated by left-wingers, though it would be fitting. No, I am talking about real radio signals from space. We are getting them, but we don’t know what they are, where they are coming from, and how they are produced. Are they signals from aliens? Well, the truth is, we just don’t know. But that they could be alien signals is tantalizing, indeed. And scientists say there is no way to rule out that possibility. So, what am I talking about? Well, it seems that scientists are finally agreeing that we have been receiving an occasional radio bust now called an FRB–which stands for Fast Radio Bursts. Originating from billions of light-years away, these FRBs are only milliseconds long, but they are radio signals that astronomers cannot identify. The first one was noticed in 1967 by British astronomer Jocelyn Bell Burnell. The next one was recorded in 2007 and it was so strange that most scientists felt that it was just a malfunction of the equipment that noticed it. 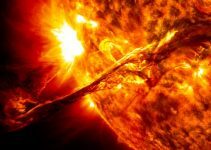 For years the astronomy community argued back and forth about these FRBs and even when a few more were observed no one could quite agree if it was a real phenomenon or if it was just malfunctioning equipment. However, with the latest recording of an FRB, astronomers are now coming into agreement that these things do exist. There has been too many of them, now, to assume it is a fleeting malfunction. But what are they? On that there is nothing close to a consensus. Some feel they are the radio emissions of flaring stars. Others say they are white dwarfs merging, or neutron stars colliding, or even a collapsing blitzar. And then there is the biggie: alien signals. The thing is, the idea that these FRBs are alien broadcasts isn’t rejected out of hand because there’s just no reason they couldn’t be alien signals. The fact is, no one knows and there isn’t any way to assess probabilities, so little is known. So, do I think they are alien signals? I shrug and say probably not, but it is intriguing, nonetheless. I tend not to believe that there is intelligent life elsewhere in the universe. In fact, I struggle to find it here! I also reject that aliens ever visited the Earth But, like I said, there are no facts that would discount an alien source for these FRBs. So, what do you all think? Is ET phoning us? Space — The Final Frontier? Study Shows Climate Change on Mars. Which Republican is to blame?